First, a word of warning: these aren’t get rich quick schemes. If you are looking for a way to get rich quick by making money online, then you’re in the wrong place. Don’t be fooled by the pictures of expensive cars, mansions, or working from beach. Every single one of those are scams, and you will waste your time and money paying for any courses or training that you buy from those guys. 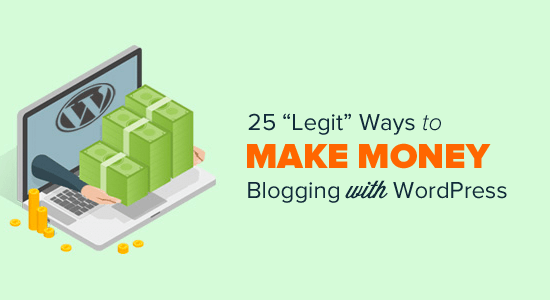 Unlike other “make money online” articles, this is a comprehensive guide on how to make money at home legitimately, using blogging and WordPress. Many of these methods require some investment of time and/or money to get started. As long as you’re willing to put in the effort, you’ll reap the reward. Before you can start using any of these methods, you’ll need to have your own self-hosted WordPress blog. The process is really easy to follow whether you are 20 years or 60 years old. However if you need help, our expert team can help you setup your blog for free. When you think of how to make money blogging, advertising is often the first thing that comes to mind. Affiliate marketing is when you recommend a product or service to your audience using special tracking links, and then get a referral commission for every time someone buys after clicking your link. A real life example of affiliate marketing would be when you help your friend open a bank account at your bank branch. Usually they give you a gift card or bonus of some sort. Similar to that many products and services online have affiliate programs that you can join. There are affiliate programs available for every industry (niche). If you’re interested in getting started with affiliate marketing, you can start by thinking about the products you already use that your readers may be interested in as well. Then you can see if they have an affiliate program that you can sign up for. Once you have selected the products to promote, then you can use a WordPress plugin like ThirstyAffiliates to manage your affiliate links. Affiliate marketing is the easiest way to make money because you can promote a wide-variety of products. Just about every popular store like Walmart, BestBuy, Amazon, and others have an affiliate program. Google AdSense is easy to set up, but the amount of money you can earn is limited. Each ad click earning will vary. Directly selling banner ad space on your website can be more lucrative. Instead of having to rely on an intermediary who takes a cut of the money, you negotiate the price and terms on your own. Above we mentioned the difference between CPC and CPM ads, where you are paid per click or per thousand views. While you could use one of those models for selling banner ads, most bloggers charge a flat rate instead. Charging a flat rate is easier than keeping track of views or clicks. Still, directly selling ads takes more work to manage than using Google AdSense. Instead of just adding a bit of code to your website, you’ll have to negotiate pricing, come up with an agreement and terms, and take care of administrative work like invoicing. However, using a WordPress ad management plugin can make the process easier. We recommend BuySellAds, a marketplace that matches up website owners and advertisers. There’s also a free BuySellAds WordPress plugin that gives you a simple way to insert the ads on your site with widgets and shortcodes. Some bloggers aren’t interested in displaying ads to their audience, and wonder how to monetize a blog without ads. With ad networks, you lose some control over the content displayed on your site. Some readers will get annoyed or offended by ads, and more and more people are using ad blockers. An alternative way to monetize a blog is through sponsorships. A sponsorship works just like it does in sports, TV shows, or other industries. Basically, a company pays you to represent their product, talk about it, and promote it to your readers. To get started, it’s a good idea to put together a one-page media kit that details your traffic stats, social media following, audience demographics, and any other data that will make your site more appealing to advertisers. Then, you can approach companies to negotiate a sponsorship deal. When publishing sponsored posts, it’s crucial to know about the laws in your area about disclosure. For example, in the United States, a blogger who publishes a sponsored post must comply with the FTC’s Endorsement Guides. This includes disclosing whenever a post is sponsored. You can do that by adding a sponsored post prefix to your post title in WordPress. 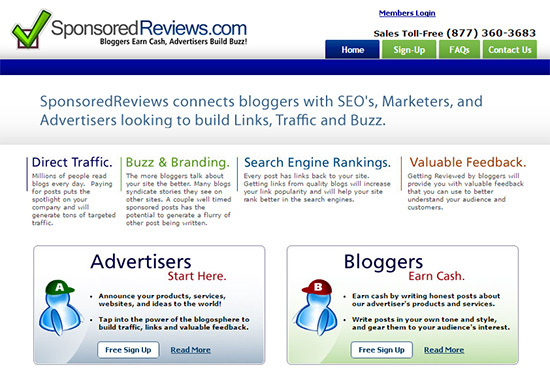 Similar to sponsored posts, you can also make money by writing paid reviews on your site. Instead, you get to try out products related to your niche for free, and even get paid for writing a review. The process for doing this can be similar to getting sponsored posts. You’ll want to review products that are relevant to your niche, that your audience would be interested in. You can approach companies on your own to ask about doing paid reviews. There are also websites like PayPerPost and SponsoredReviews that can help to connect you with businesses who may be interested. If you know how to build a WordPress website, then you’re way ahead of most people. Sometimes entrepreneurs like to buy already established websites that they can use for their own businesses. If you can build a WordPress blog and start getting traffic to it, then you can sell it and make money for your efforts. This requires knowing the type of websites in demand, and how to price and sell them. There are websites like Flippa that serve as auction sites and brokers for selling websites. If you’re not interested in selling ads or sponsored posts, there are plenty of other ways you can earn money online from your blog. A popular method is by having your audience pay to access certain content or areas of your site. Here are a couple of ways to do that. 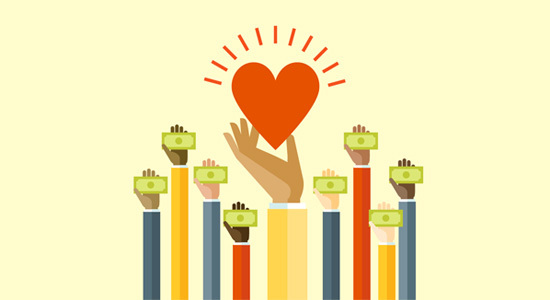 Your most loyal readers are huge fans, and may be willing to pay to read more of your work. You can create a members-only area for them to share more in-depth blog posts, downloads, videos, audio content, and more. Membership sites can be a big time investment since you must continually create premium content for your paying members. But they can be very lucrative because they are recurring revenue (subscriptions). You can easily create a membership site with a variety of available WordPress plugins. Another excellent tool for creating a membership site is Rainmaker. 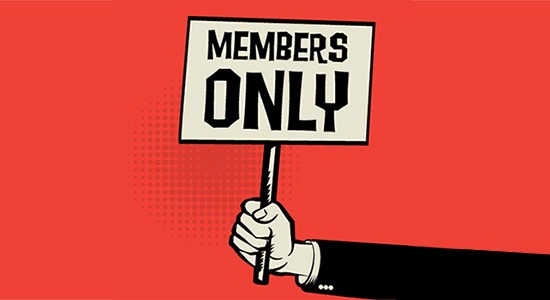 Another option for creating a paid membership site is to create private forums that users must pay to get access to. Forums are a great way for your audience to get one-on-one advice from you. Other members of the community can also interact and help each other out. While moderating a forum can be a lot of work, a paid forum is a great way to earn recurring revenue from your WordPress site. To get started, you’ll need to set up a forum on your site. Another option for making money online with WordPress is to create a directory or listing website. You can then charge visitors to advertise their listings on your site. Here are a few different directory ideas to get you started. Web directories may make you think of the early days of the web before bots started indexing everything automatically, but they’re not completely obsolete. Generic web directories are no longer necessary, but local or niche directories can be extremely useful. Directories might gather reviews of local businesses, share the best podcasts on a given topic, or list the best products in a certain niche. Another option is to create a paid job board. Companies who want to advertise an open position to your audience can pay you to submit a listing. It’s easier to create a successful job board if you narrow down to a specific niche. That way you can become the go-to site for anyone looking for a job in that industry, with minimal competition. This works great for established blogs in a narrow niche. For example, ProBlogger is now famous for their job board for professional bloggers. With WordPress, creating a paid job board is easy. for a step-by-step walkthrough. You can use the WooCommerce Paid Listings addon to charge for job post submissions. Instead of a job board, you could create an event calendar where you charge people to advertise their events. This also works well if you already have an established audience, because businesses will be willing to pay to reach your audience. A paid event calendar is a good monetization method for local or industry-specific websites. You might choose to advertise events in your local city, conferences in a certain industry, or even webinars or live streaming events. If you’re looking for a more low-maintenance way to make money online blogging with WordPress, then selling your own digital products may be a good choice. While you do have to invest the time to create the product up front, after it’s created your work is very minimal. Here are a few digital products you can create and sell on your website. Ebooks are an obvious choice for creating digital products. They are relatively simple to write and produce. If you’ve been blogging for a while, then you can collect some of your old blog posts and turn them into chapters of a book. Once your book is written, you can design a cover using a tool like Canva and create a PDF of your ebook. Selling digital products on WordPress is easy with a plugin. To get started, you can see our guide on the best WordPress eCommerce plugins compared. For digital downloads, we recommend Easy Digital Downloads. It’s relatively easy to use and includes all the features you need to create your online store. Selling an online course is another great way to make money online. Courses usually sell for a much higher price point than ebooks. You can charge a premium for your expertise. You’ll need to create the lessons for your course, plus any supporting materials that you want to include such as downloads, slides, checklists, templates, etc. You will also need to decide whether you want to offer personalized support for your course. Some sites offer two tiers of each course: a basic version without support, and a premium version with email support. Once your course is ready, you can use a learning management system (LMS) plugin to deliver the course to your audience. We recommend using LearnDash or MemberPress. Webinars are a great way to build your audience, share your experience, and grow your business. But did you know they’re also a smart way to make money online? Webinars are similar to online courses, but a webinar is live and often includes a question and answer section. WordPress makes it easy to host a paid webinar. Whether you’re using your site to actually host the webinar, or just to advertise your webinar and register participants, it’s crucial for your webinar success. For more details on how you can host a paid webinar, see our list of the 9 best webinar software for WordPress users. If you’re looking for easy ways to make money online, selling services is the fastest way to get started. There’s no up front investment of creating a product or investing in inventory. Instead, you can just create a “hire me” page on your website and start looking for your first client. As a blogger, you’re already an expert on your niche. You can start earning an income by offering your skills and expertise as a freelancer. Freelancing is a popular way to make money online because it doesn’t necessarily require any upfront investment of time or money. You can just start offering your services to your current audience. Once you start freelancing, you’ll need a way to invoice and collect payments from your clients. We recommend using FreshBooks, but there are also other invoicing plugins for WordPress. If you’re interested in freelancing to make some serious money online, then see list in wpbeginner of the top tools for WordPress freelancers, designers, and developers for help getting started. Consulting is another way to make money online from your blog and share your expertise. Instead of offering your services, a consultant offers advice and strategy so that their clients can become more effective. As with freelancing, there is no startup investment. You can start offering consulting services on your existing blog. All you need is to create a page with a form so users can request more information. To easily create a professional, mobile-friendly form, we recommend WPForms. You can see this tutorial on how to create a request a quote form in WordPress to get started. If “consultant” doesn’t feel like the right title for you, you can consider becoming a coach instead. A life coach offers advice, guidance, and accountability for setting goals and improving one’s life. There are also other kinds of coaches, such as blog coaches, writing coaches, and more. Whatever your area of expertise is, you can provide one-on-one help to your audience with coaching sessions. To save time and make things convenient for your clients, you can set up a booking form so readers can schedule coaching sessions right from your WordPress blog. See our list of the 5 best WordPress appointment and booking plugins to get started. While selling digital products or services can be an easy way to start making money online, there’s nothing quite like selling real, physical products. Here are a few ways you can get started selling products with WordPress. Have an idea for your own product? Why not start your own online store? WordPress makes it easy to create a shop or even add a shop to your existing blog using the free WooCommerce plugin. 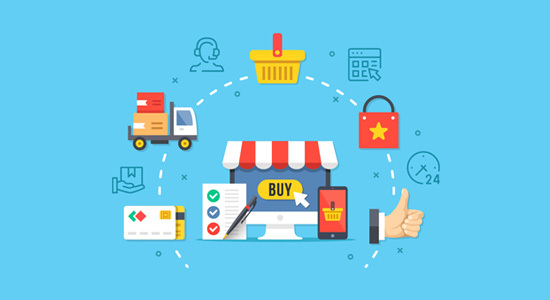 Starting an online store can be a lot of work, since you need to create or buy the products and then ship them out yourself. But selling physical products can be a rewarding experience, and sometimes a physical product is exactly what your audience wants. 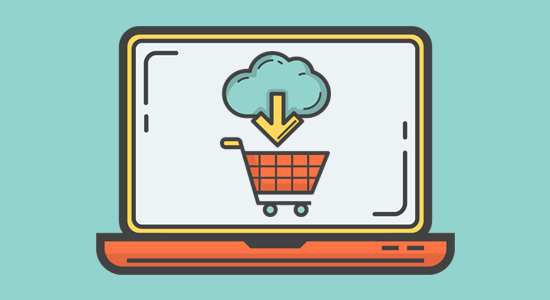 To get started, see our tutorial on how to start an online store with WooCommerce. Creating your own t-shirt shop is easy with WordPress. Almost everyone wears t-shirts, so opening up a t-shirt shop is a great way to monetize any kind of blog. Designing t-shirts allows you to be creative and offer something unique to your audience. It’s easy because there are services out there that allow you to upload your own designs, and they print / ship it for you. You get a profit share. You can easily create your own t-shirt shop on your WordPress site using WP-Spreadplugin by Spreadshirt. If you want a faster solution, then you can use a Shopify store which connects with dozens of t-shirt printing companies. Dropshipping is another way you can create an ecommerce store on your WordPress website without having to handle inventory or ship items yourself. With dropshipping, you create the store, manage the website, and customer service. But a dropshipping service will take your orders and ship them out to your customers. They’re an invisible third party that your customers don’t even know about. You can use the WooCommerce plugin to create a dropshipping store. There’s also a WooCommerce Dropshipping addon plugin that allows you to automate the process. One downside of dropshipping is that you have to find a good supplier, which can be a challenge, and sometimes you have to place a large order up front. This can make it difficult to get started without investing a lot of money. If you want an easier way to set up an ecommerce site without having to ship inventory yourself, you may want to try an Amazon Affiliate shop. As with many of the items on this list, this works best if you specialize in a niche. If you offer everything, it’s impossible to compete with a big shop like Amazon. But in a small niche, you can differentiate yourself and really stand out. We recommend using the free Amazon Product in a Post Plugin to easily add Amazon products to your blog posts or pages. Or, you could use the premium WooCommerce Amazon Affiliates plugin to create an Amazon Affiliate store using WooCommerce. If you’re more technically inclined, then you can become a WordPress developer or designer in order to make money online. This will take more technical skills, but it’s not too hard to get started. Plugins are what make WordPress so flexible and powerful. Plugins work like apps, allowing you to extend and modify any feature of your WordPress website. Plugins come in all varieties, from very simple code modifications to complex software applications. If you have a basic grasp of how WordPress works and some simple PHP knowledge, you can create your own WordPress plugin. As a plugin developer, there are many ways you can distribute your plugins. Anyone can submit a free plugin to the WordPress.org plugin directory, as long as they follow the WordPress plugin guidelines. This is a great way to gain experience and build a reputation for yourself as a WordPress plugin developer. Once you’re ready to start selling premium plugins, you could choose to sell them on a site like MOJO Marketplace, or on your own WordPress site. If you’re using your existing WordPress blog to sell plugins, you’ll want to make sure that the plugin you create directly fulfills a need of your audience. You can survey them to see what problems they need to solve on their WordPress site, and then create a plugin that solves that problem. You can then sell the plugin on your site using Easy Digital Downloads. If you enjoy web design and development, you could start creating your own WordPress themes to sell. This requires both design and technical skills. You have to know how to create a good-looking design, and also how to code it for WordPress. Using a WordPress theme framework such as Genesis can give you a head start. Then you’ll need to design and code a beautiful child theme. If you like design more than coding, another option is to design and sell graphics on your WordPress site. You can create graphics such as stock images or logos and sell them on your site using an ecommerce plugin. You can also join online marketplaces to sell your graphics as well. Last but not least, one way you can make money from your WordPress blog is simply to ask for it. You can begin accepting donations in a few different ways. You could add a Paypal donate button or a Stripe donate button to your website. Or for a more professional look and advanced features like email marketing integration, you could use WPForms to create a donation form on your WordPress site. Donations are last on the list because of their limited effectiveness, since you have to rely on the generosity of your readers. It’s usually more lucrative to offer them something in return. We hope this article helped to give you plenty of ideas on how to make money online using WordPress! With hard work and perseverance, anyone can earn money from their WordPress site. Hi EveryOne this is just announcement, becuase we have been changed Our Company Name From iTMerri Company LLC To iTMerri Solutions LLC. iTMerri Solutins LLC issued in 03/26/2018. How can you get your website to score high in search engine listings? Where your page ranks is dependent on a whole host of criteria, like your use of keywords, your frequency of updates, whether or not your site is mobile friendly, and the length of time it takes for your site to load. But one of the most important factors, possibly even the most important factor that determines your search engine listing has to do with how other internet users perceive your site. A website that has been linked to over and over again, or linked to by major companies and organizations, is a sure sign that it contains useful and relevant content. It’s considered a “good” website. Websites that aren’t being linked to can be a sign that it has some problems: it’s outdated, it’s inaccurate, it’s uninteresting, it’s not well designed, etc. Link building refers to a series of techniques that are used to encourage, persuade or prompt other individuals and businesses to link to your website. While considered to be one of the most difficult and time-consuming aspects of SEO, it often comes with the highest payoff. Think of links to your website as a “vote” for your website. Link building is like creating a strong election campaign. The more you’re able to get other websites to “vote” for you, the higher your website is likely to be listed. How Does Link Building Give You Better SEO? A few years ago, before search engines had evolved into the level of sophistication they have now, a company could pump out hundreds of blog articles each month and watch their rankings rise. Unfortunately, this created a problem – a lot of the content, focusing more on keyword usage than valuable information, wasn’t very good. Users were frustrated having to sort through pages and pages of junk before they could find what they were looking for. Today search engines focus more on quality than quantity. Having well-written content matters. Having up-to-date content matters. A clean design matters. A clear call to action matters. Obviously, with nearly a billion websites on the internet, and with over a 100,000 new ones being launched each day, it would be impossible for Google or Yahoo Bing employees to personally evaluate each and every one. That’s why they trust internet users to do it for them. Search engines take into consideration what sites are linking to a website as well as how often, to help determine a site’s overall importance. But like all tips and tricks for improving your SEO, there’s a right way and a wrong way. The right way could strongly influence your ranking, getting your website on the front page of search engine listings, while the wrong way can quickly sink it further towards the bottom. Develop A Quality Site: If you want to get votes for having a quality website, you first need to have a quality website. No matter how much time and energy you put into link building, you won’t get very far if your website lacks the core elements that create a positive experience for your users. If your website is slow to load, confusing to navigate, difficult to read or in some way glitch-y, your link building efforts aren’t going to work. Create Sharable Content: Not only does it help to have a content marketing strategy, it helps to generate content that users are going to want to share. So while the news story on your company’s culture may be interesting, it’s probably not something a lot of other websites are going to want to link to. Therefore, in addition to those types of pieces, you should focus on developing things like infographics and evergreen articles internet users will be able to pass around for a long time. Find Ways to Broaden Your Reach: Even the best websites can go unnoticed if they’re not given a little exposure. You should find creative but credible outlets for your site’s address to be incorporated. More importantly, it should be incorporated within a context that makes sense. A mention in an industry newspaper or online review could score some major points. While including your link in a guest blog post or an online forum response is also helpful, because you’re leaving the link yourself, it won’t pull quite as much weight. Link Your Pages To One Another: One step that website owners often forget when link building for SEO is that links within their own website can still count as “votes.” If the copy on your homepage references your contact page, link to it. If you have a blog article that touches upon a subject you’ve covered before, link to it. With that being said, don’t try to link everything. Having too many links or irrelevant links will suggest to search engines that you’re trying to beat the system and they will penalize you for that. Ask For Links: In some scenarios, asking for links is okay. If a website is listing all the non-profit organizations in the area, and you’re a non-profit organization that isn’t listed, it would be perfectly acceptable to ask for your website to be added as well. If your company is working with another company, both parties may agree to include a link to one another’s sites. What you shouldn’t do is reach out to website owners with the proposition that if they link to your site, you’ll link to there’s, especially if the content isn’t even related. Google refers to this tactic as a form of “link scheming” and it won’t bring you the results you’re looking for. Buy Links: Just like search engines can generally determine whether or not links have been exchanged to benefit the internet user, they can usually determine when links have been bought. Purchased links are often irrelevant, don’t make sense with the surrounding context, and come from sites that search engines don’t trust anyway – so much for a quality backlink. Not only do search engines have a team to help uncover websites that have bought or sold links, they encourage everyday internet users to report these sites. If your site is found to have purchased links, don’t expect it to rank high anytime soon. If you can properly incorporate your website into a real, honest response to a blog article that’s related to your industry, that’s great, but avoid dropping your URLs in random places, whether it be in blog comments, forum responses, or on social media. Search engines can pick up on this, too. As you’re shopping around for a web hosting company or just setting up your site, you may come across the term “SSL Certificate.” What is an SSL Certificate and is it something you really need? A Secure Sockets Layer (SSL) Certificate, which is also sometimes called a digital certificate, encrypts data as its being transferred from a web browser to a server. Normally, this data would be sent as text, but with an SSL Certificate, it adds a layer of security to prevent it from being obtained and utilized by a third party. This is useful for websites that handle sensitive information like social security numbers, credit card numbers, phone numbers and home addresses. If your website is an online store, membership-based organization, or other site that requires your customers’ personal details, then you probably want an SSL Certificate. If your website is purely information-based, like a blog or online resume, then you probably don’t need one. Your web hosting company may offer SSL Certificates bundled in their packages. At iTMerri, all of our business plans come with an SSL Certificate included. If your web hosting company doesn’t offer SSL Certificates, you can purchase them through third party organizations like Comodo. There are many types of SSL Certificates available and they’re offered at a wide range of price points, so do your research first to make sure you’re getting one that fits your needs. Do you offer services to help people with their websites? Perhaps you’re a web designer or a developer? If so, it is now possible to become a hosting reseller and add web hosting to the list of services you offer your clients. As a hosting reseller, you’ll be able to offer your clients the hosting services they need and, in return, benefit from regular monthly income from each client you provide hosting for. 1. What is reseller hosting? Essentially, reseller web hosting is where you buy hard drive space and bandwidth from a web host and then sell this on to your own customers. It’s like renting an apartment block and then letting the apartments to individual clients. Most web hosts have reseller hosting packages available for their clients. 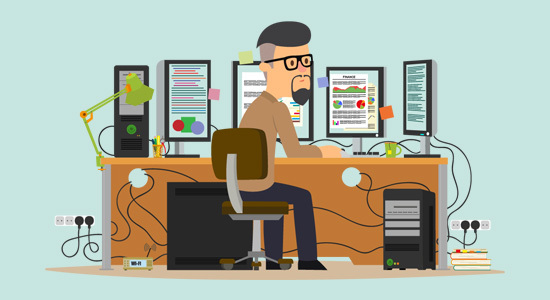 There are quite a few benefits of reseller hosting. For a start, it enables you to offer a wider range of services to your clients. As a web developer, for example, you can become a one-stop shop: there’s no need for your clients to go elsewhere, they can get everything they need directly from you. Reselling enables you to create your own hosting brand. Good reseller packages are white labelled, so your clients never know who you buy their hosting from. This enables you to create your own, unique hosting plans which can be customised to meet your client’s needs. You can set up, manage, and operate the back-end of your client’s websites and manage domains and email. And, of course, you can charge for providing this service. As you can rent additional resources as your reselling service grows, it means you can start off small and upgrade as and when demand requires. Perhaps best of all, as you are using the services of your own web host, server management is done for you. There’s no need for any expertise in that area. The biggest benefit, of course, is a financial one. By selling hosting, short-term clients become long-term customers. As a result, the lifetime value of your customers increases and you get steady income over the long term, helping with cashflow and profits. 3. What does a reseller package include? Customised account and website management for clients. 4. What services does your web host provide? A frequent concern of those considering setting up a reseller hosting business is that they lack the technical expertise. However, this is not an issue. Web hosts are keen to sell reselling packages and understand that most resellers don’t have these skills. For this reason, a good provider will take care of all the backend management for you. This includes setting up and maintaining the physical hardware and network infrastructure, and undertaking security monitoring, patching and software updates on your behalf. You should also get 24/7 technical support if there are any issues, together with guaranteed uptime levels of 99.95% backed by service level agreement (SLA). Before you start offering hosting to your clients, here are some of the things you will need to consider. If you are going to make a success of your hosting service, it needs to meet the needs of your customers. The plans you offer, therefore, should be based on those needs rather than being dictated to by the resources and features of your reseller account. If you are a web developer, you’ll have a good idea of the businesses you cater for and the type of hosting that would suit them best. If you work in a different sphere, you may need to research your target market first. Things to consider include the size of disk space and amount of bandwidth clients require, the types of software they will use to build their websites, the number of email accounts they’ll want and their security needs (remote backups, malware and intrusion scanning, SSL, etc.). You may want to put together a range of different packages for your customers to choose from and which give them the potential to upgrade as their business grows. As your business develops you can consider moving to larger plans such as our Reseller Premium (75GB for $12.94 pm) or our Reseller Supreme, (150GB for $16.99 pm for first month). If you grow even bigger, we can upgrade your reseller services to a dedicated server or cloud environment for you. In web hosting, overselling is the practice of selling too many web hosting plans that, when combined, have a total resource demand that outstrips the capacity of a server. Some web hosts do this because they don’t expect all customers to fully utilise their hosting plans. However, if they do, the server would not be able to cope. This can lead to slow performance and even client’s websites going offline. It’s not good for business. When you set up your reseller business, you should always aim to leave 30% of your disk space free. This redundant 30% can be used for existing customers who need extra space and to ensure all resources are never fully used up. You need to work that 30% redundancy into any costings and forecasts you prepare. Providing the actual hosting is the easy part of being a reseller host. Your provider takes care of most of the technical stuff and once you have configured your plans and set up your customer’s accounts, most other things are automated. However, your customers will have issues from time to time and it’s your response to these that can make or break your business. Prospective customers will expect a quick reply when enquiring about a package and existing customers will expect an equally swift response to any issues. You should, therefore, make sure you have the in-house capacity (both in terms of staffing levels and staffing expertise) to deal with these. If you don’t, you may have to find a way of outsourcing your hosting customer services. You should consider other satisfaction metrics, too, such as security and reliability. You and your customers need to be confident that the level of security you have is adequate. This means taking proper and effective precautions with your own server (enforcing clients to use strong passwords, etc.) and ensuring that your host provides necessary security measures, such as intrusion monitoring and daily backups. Reliability is also crucial to your success as a reseller. None of your clients will want their website going offline as it gives a poor impression of their businesses and may even lose them money. It won’t do your reputation much good either. For this reason, you should make sure that you have measures in place to minimise potential downtime (such as not overselling). You should also check the reliability and uptime rates of your host. You and your customers should never tolerate anything below 99.9%. From reading this article, you should now have a wider understanding of what a hosting reseller is and how you can offer hosting to your clients as a way of extending your own business. You should also understand the benefits of reseller hosting and the things you need to consider before offering hosting as a service. If you are interested in becoming a hosting reseller, take a look at our range of affordable reseller plans. We are giving you our BEST EVER discount between 10% to 60% off all premium web hosting & Reseller Hosting, VPS, WordPress hosting plans!